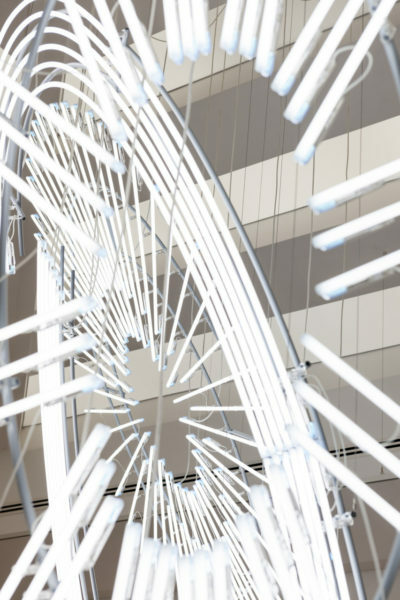 Cerith Wyn Evans, Radiant fold (…the Illuminating Gas), 2017/18. Presented to Amgueddfa Cymru – National Museum Wales by the Contemporary Art Society through Great Works, supported by the Sfumato Foundation, 2018. © Cerith Wyn Evans. Great Works aims to address the absence in regional museums and galleries across the UK of works by British artists who have established international reputations over the last 20 years. 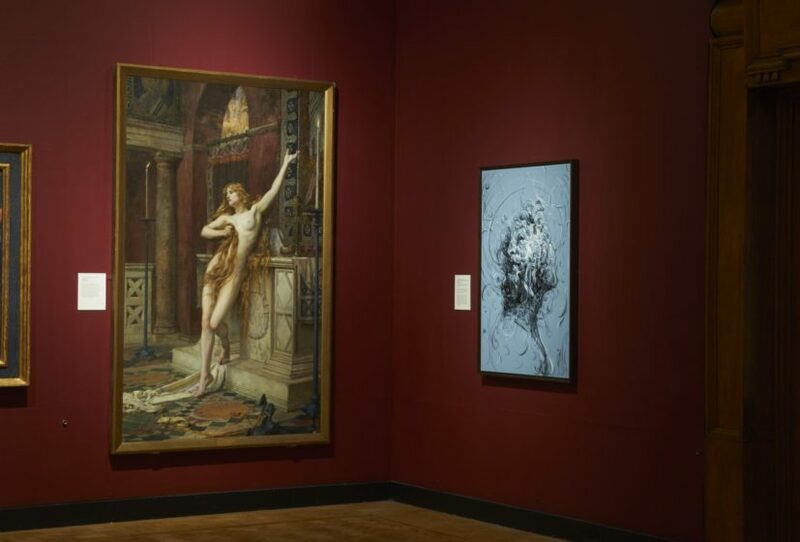 Thanks to the generosity of the Sfumato Foundation, the Great Works purchases one major work a year by a leading British artist for a regional museum or gallery. The 70 museums across the UK that make up the CAS’s Museum Membership are eligible to apply for the award, the majority of which are outside London. The first recipient of the Great Works scheme was the Laing Art Gallery in Newcastle. 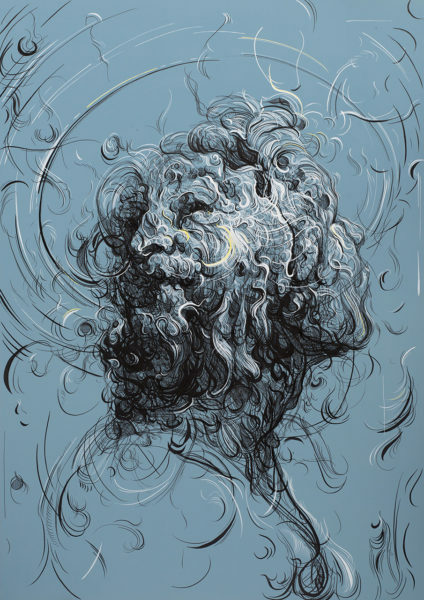 Internationally acclaimed artist Glenn Brown produced a major new work, specifically for the museum, entitled ‘In the end we all succumb to the pull of the molten core’ (2016). In March 2018 the second Great Work was unveiled at Amgueddfa Cymru – National Museum Wales. 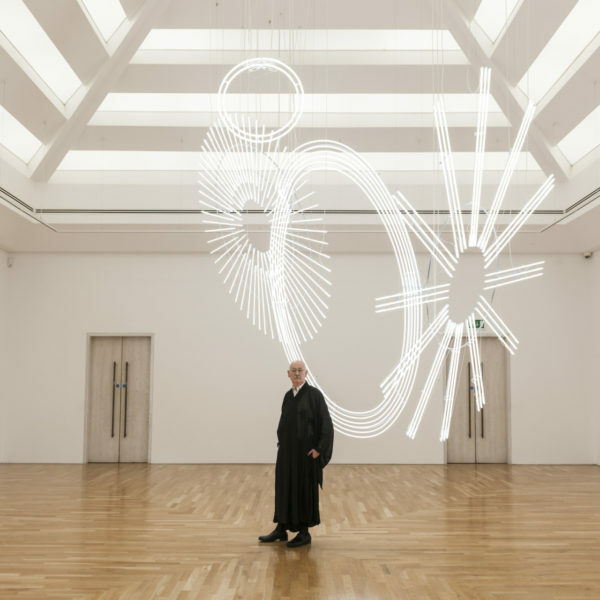 Cerith Wyn Evans’ Radiant fold (…the Illuminating Gas), 2017/18 is four elliptical forms drawn in fine white neon, currently on show in the museum’s Colwinston Gallery.